Want to know which companies are setting the pace for our common AI (Artificial Intelligence) future? It isn’t that hard, as it’s a very short list: they are a mix of US or Chinese tech giants – Alibaba, Amazon, Apple, Baidu, Facebook, Google, IBM, Microsoft, and Tencent. 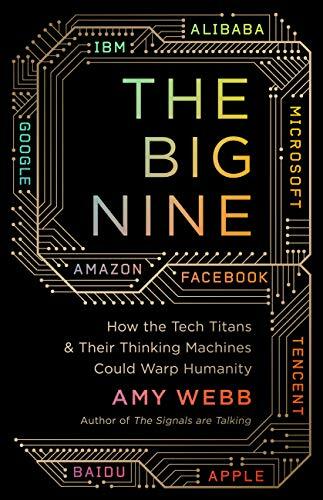 The claim comes from a new book called The Big Nine: How the Tech Titans and Their Thinking Machines Could Warp Humanity, from author Amy Webb – and she says there’s a problem or two in the fact that this list is so small, and so concentrated in gigantic corporations. She isn’t arguing that all these companies are a cartel, or working to deliver one AI to rule us all – the Chinese firms are dominated by their government’s objectives, while the US ones are all mega-capitalist. Liam Maxwell to leave government IT for senior Amazon role? But that means we may have to face a choice of just two AI paradigms, one where one State’s agenda is the active voice, or where products get pushed into commercial use as quickly as possible to satisfy shareholders. “Decisions that drastically affect everyday life are being made by algorithms which were designed by a relatively small group of people working at just a few companies,” she is quoted in the article as saying. “That process is not in any way meaningfully transparent [but] a system — a series of systems — built by a relatively small number of people into which many new startups are plugging in.